Hear, O, Israel! Yahweh is our God, Yahweh is one! You shall love Yahweh your God with all your heart and with all your soul and with all your might. Even Jesus considered this the greatest commandment along with “Love your neighbor as yourself” (Matthew 22:36-40). Deuteronomy means the Second Law. The book contains Moses’ repetition of the law to the Israelites before he died and before Joshua led them into the Promised Land. He said that the fathers must be role models of those laws for their children if they want God to bless them. Perhaps you’ve heard it said that truths are easier caught than taught. This is a little misleading, because when adults role model behavior to children it is a form of teaching – the most effective form of teaching. So, make sure that since your actions speak louder than your words that you role model good behavior. This is possible through the Holy Spirit. We’ll talk about it on Sunday. Have a good Father’s Day. Please make Sunday School and church a part of that good day. You may not be a father, but I’m pretty sure you had one. Definitely, on Sunday we can honor our heavenly Father! Please come to our Yard Sale this Saturday. The proceeds go to support our Vacation Bible School. If you have stuff for the Yard Sale, please bring it to the church as soon as possible. 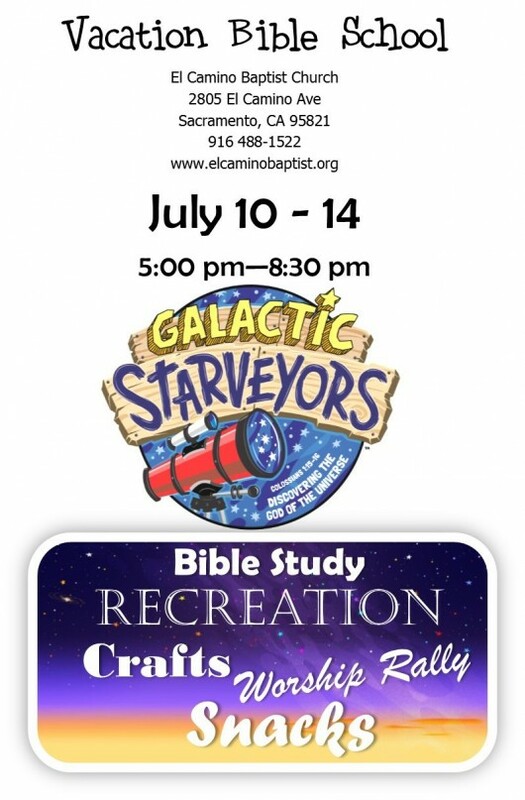 If you can help teach at Vacation Bible School please call the office. All of this will be great provide great role models! Please keep our Mission Team in prayer as they serve with La Roca Ministries. Update June 13: ❤️ So thankful for Such a sweet time today at the orphanage (House Of Grace). These children are some of the most loving babies I have ever met. They all have my heart. It's going to be hard to leave at the end of the week. Carlos Rossy Montoya for their love, dedication and vision for this ministry and the people here in Mexico. "As I showed up to the dump this Wednesday, I was surprised by 3 of our girls running to me dressed in white dresses. Saying we are princess of the dump! I said to them, you surely are and so much more!" On July 3rd at 5PM we will be decorating the float the church is entering in this years 4th of July Parade. 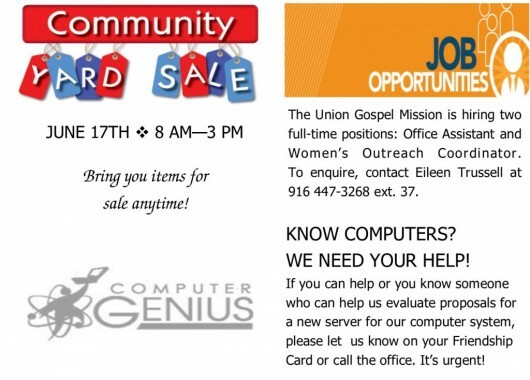 If you would like to help please contact Kim Horton (916) 248-1550. We will meet in the parking lot near the church office. April Fun & Fellowship Project Day was a tremendous success with a good turn out. Continental breakfast began at 8:45 am with lunch at noon. There were many tasks and projects going on like, light flower bed gardening, washing windows, cleaning carpets, changing filters and lights, fence repairs, ceiling patching and some basic cleaning.